Alfie Kohn is described as America’s most outspoken critic of education’s fixation with grades, punishments and rewards. He is a former teacher living in Boston and addressed the Positive Schools in WA Conference in Fremantle via video link in May this year. Lionel Cranenburgh was there. 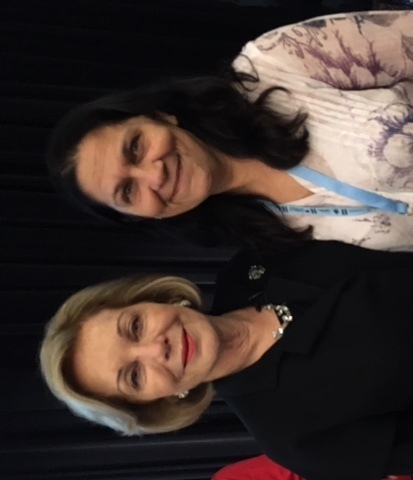 Karen Pedrick with Ita Buttrose after discussing ideas relating to the conference host’s presentation. Controversial author, Alfie Kohn, challenged long-held beliefs by teachers, daring them to change time-worn practices. School news / Corrupt Vic bureaucrats to be punished School news / Vic party calls for corporal punishment Opinion / Free at last. The end of corporal punishment in Queensland schools.